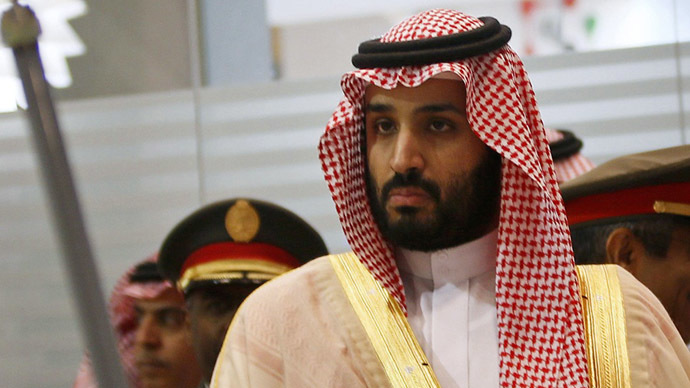 JNN 03 July 2015 Riyadh : Saudi Defense Minister Mohammad bin Salman threatened to launch war on Kuwait after differences between the two Persian Gulf Arab states escalated over Khafji oilfield. “Mohammad bin Salman threatened that his country would attack and occupy Kuwait, claiming that not only Khafji oilfield but also entire Kuwait is part of the Saudi territories based on historical documents,” Middle-East Panorama quoted intelligence sources of the Persian Gulf Arab littoral states as saying. Kuwaiti Oil Minister Ali Al Omair in a letter to his Saudi counterpart Ali Al Naimi urged him “to take adequate measures to … resume production at Khafji. By keeping production and exports shut, Kuwait will incur huge losses which will be borne by the Saudi government for violation of the (50-year old) agreement and the 2010 operations agreement”. Before the closure, the Khafji field produced around 280,000 bpd to 300,000 bpd. This entry was posted in Jafria, Middle East and tagged Defence Minster, Khafji Oil field, Kuwait, Muhammad Bin Suleman, Saudi Arabia. Bookmark the permalink.